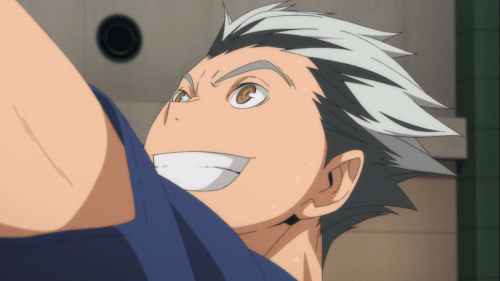 Bokuto Koutarou is a fictional character from the anime and manga series Haikyuu!!. He is a 3rd year at Fukurodani Academy. Captain and Ace of the volleyball boy club, he is a wing spiker and wear the jersey number 4. Aaaahhh What shoud I say about that damn owl. Both he is still one of the top player of the high school volleyball circuit, according to Kuroo when Bokuto get serious he get as strong as a top 3-tier Ace. Both under that silliness hide someone’s caring who like the help the younger generation like shown with his relationship with Hinata when he teach him all sort of techniques.